The Royal Spa Centre are delighted to have JP McCue and Sean Dodds returning for another festive season in their magical family pantomime Snow White this Christmas. JP’s panto career at The Royal Spa Centre began with Snow White back in 2012 when he played Will the Jester. Sean Dodds is also delighted to be back in his panto home for the season and to be re-united with his comedy panto partner JP. With some performances already sold out The Royal Spa Centre recommend booking your tickets now to avoid disappointment. Snow White runs from Saturday 7 December 2019 – Sunday 5 December 2020. Southport Theatre are delighted to announce that 5ive star Ritchie Neville will be playing the title role in their spectacular family panto Jack and the Beanstalk this Christmas. Ritchie shot to fame in the late 90s, aged just seventeen, when the band released the single ‘Slam Dunk (Da Funk)’. They went on to sell over 40 million records world-wide including ‘Keep on Movin’ and ‘If Ya Getting Down’. The band teamed up with rock legends Brian May and Roger Taylor from Queen to open the BRITS and took ‘We Will Rock You’ to number one in the UK. They also performed two sell-out world tours and had four number one albums. Ritchie moved to Australia, returning to the UK for The Big Reunion reality documentary and tour and appearing in the first series of Channel 4’s The Jump. Ritchie is now a regular presenter on Hits Radio with a Sunday slot celebrating the hits of the 90s and 00s as well as still performing all over the world with 5ive. “Ritchie Neville in the starring role is amazing, a huge draw for us and we look forward to presenting something very special with our partners Imagine Theatre this year”. Don’t miss this GIANT of a pantomime. 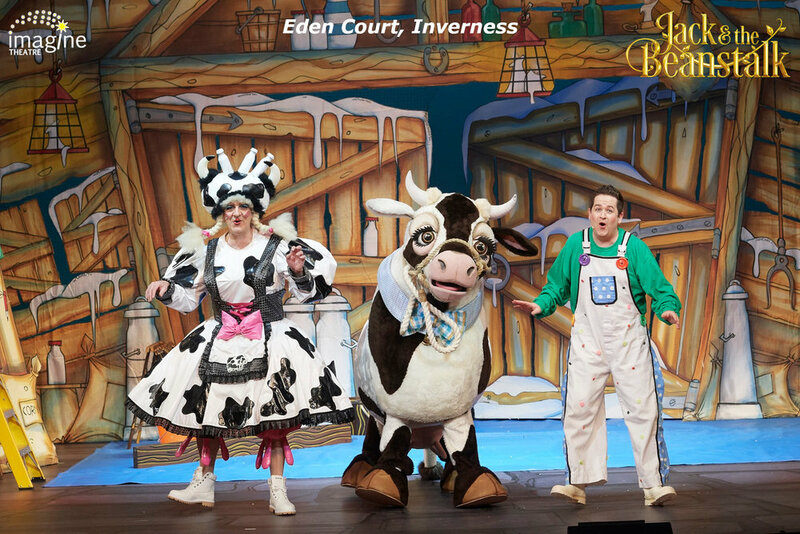 Jack and the Beanstalk runs from Friday 13 – Sunday 29 December 2019. Whenever we’re asked what we do and we respond that we’re pantomime producers, one of the questions we can guarantee we’ll get asked is “what do you do for the rest of the year?”. Our response is always to explain that, pantomime is for life, not just for Christmas! It may seem like we’re a long way from panto season 2019, but here at Imagine we’ve been working on this particular production of Cinderella for a year already. Bearing this in mind, when we tell people that we’ve been busy working on pantomime in March, we do get some very strange looks! Focus is still very much on Mark Walters (designer) and the designs he has planned for Cinderella. He and George Wood (director) recently met to discuss the creative vision for the show and how the scripting, design and musical planning will all hang together. We can’t wait for the next production meeting when Mark presents his thoughts to us in more detail. Sarah and Laura from Imagine also headed down to central London to meet Kevin and Emily from the Fairfield Halls marketing team to finalise the marketing plan and timeline. It’s really strange talking about planning to use the digital screens inside a building when we can’t actually see them, only plans and diagrams of what they will look like and where they will be positioned! Casting is well and truly under way. The production team are now in talks with agents to bring the rest of the cast together to surround the already announced Tim Vine and Cat Sandion. More announcements on this soon! We are also delighted to welcome a couple more members of the production team to the ‘Cinderella Family’. John Young joins us as production manager for the project, and the fabulous Jamie Corbidge joins us as lighting designer. We’re thrilled to have both of them on board for the project and their reputation and expertise in the theatre industry speaks for itself. We’ll do more of a feature on them both in later blogs. This production of Cinderella really is going to be something special. 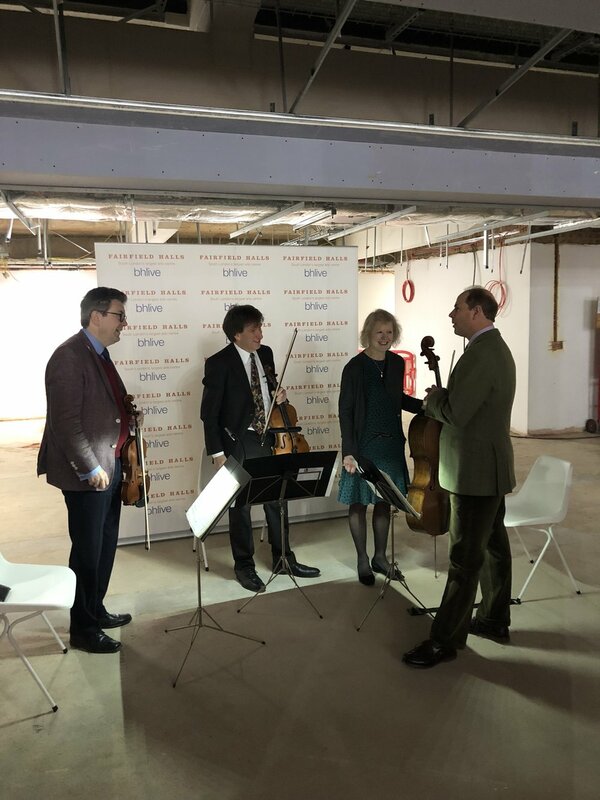 This month also saw Fairfield Halls have a visit from a real Royal Prince! 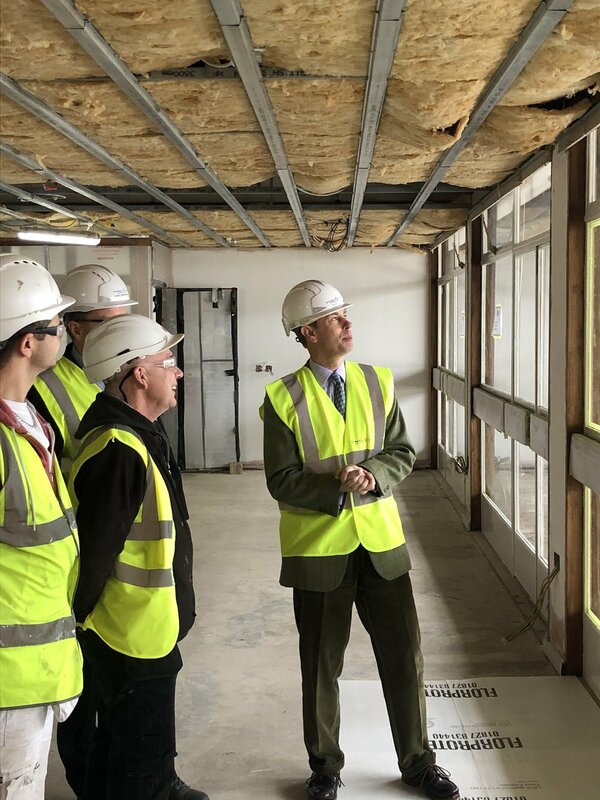 Prince Edward visited the venue to check up on the progress of the refurbishment. It’s great to know that a Royal Prince has checked out the suitability of the Halls for us in advance of panto! The other news that we’d like to share is the date of the children’s ensemble auditions. It’s Sunday 30th June and auditions are to be held at Braithwaite Hall. We’re looking for 3 teams of 8 children to take part in the show. More information can be found at http://www.imaginetheatre.co.uk/pantomimes/2019-cinderella-croydon. These auditions are open to all children of all backgrounds and performance experience, who are in year 4 and no younger than 9 years of age on the first day of rehearsals (Saturday 23rd November 2019) to year 11 and no older than 16 years of age on the final performance (Sunday 5th January 2020). Please note that the auditions are for dance only. We will not be asking children to sing or act. You don’t need to register with us in advance – just turn up on the day. We’d love to see as many young people as possible for registration at 9:30am on Sunday 30th June. So off we head into April, looking forward to seeing what it has in store for us all! Rotherham Civic Theatre are delighted to announce X-Factor star Andy Abraham will be starring in their spectacular family pantomime Sleeping Beauty this Christmas. Sleeping Beauty runs from Friday 29 November 2019 until Sunday 5 January 2020. On Sunday 30 June Fairfield Halls will be holding open auditions for children to be part of the Junior Ensemble in their magical family pantomime Cinderella. 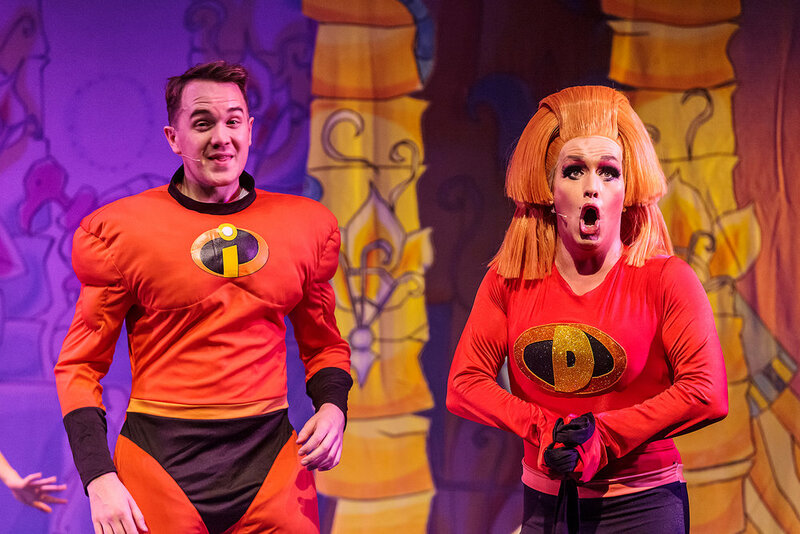 The auditions are open to boys and girls aged 9-16 in school years 4-11 at the time of the production and those successful in obtaining a part in the show will be starring alongside comedian Tim Vine and CBeebies’ Cat Sandion. Full details on the auditions, including further information on age and attendance requirements and regulations, as well as the application forms can be found on Fairfield Halls website or www.imaginetheatre.co.uk. Application forms do not need to be submitted in advance although where possible please complete them beforehand and bring with you to save time on audition day. Please note that due to the refurbishment of Fairfield Halls the auditions are taking place at Braithwaite Hall in Katherine Street. Cinderella runs from 10th December 2019 to 5th January 2020. Tickets start from £15 and are already on sale so grab your tickets to the best ball in town! It’s a month now since Imagine Theatre were announced as the producers of pantomime at the Fairfield Halls, Croydon, and it’s been quite a month for us! Even though Imagine have produced pantos all over the country for almost two decades, this project is unlike anything we have ever worked on before. Why is this? 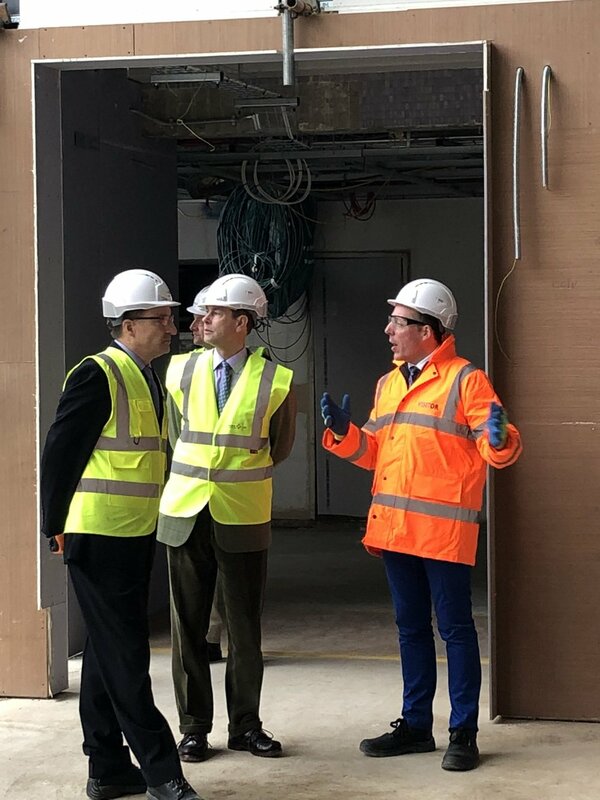 It’s because whilst the building is still being refurbished and isn’t open to the public, we’re not able to actually go into a venue, look around and work out our plans from a physical space. Sure, the concert hall actually exists and we’ve stood on the stage – but it’s full of scaffolding. We know there are lifts in the floor, but we can’t see them because they’re covered in protective cladding. We know there will be seats in the auditorium, but we can’t sit in them to work out sight lines because they’re not actually there. We can’t even see from the back of the space to the stage as the scaffolding is so thick. So what can we work with? Lots of plans (and we mean LOTS) and lots of measurements (and we mean LOTS!). Cinderella is going to be unique and exciting. It’s going to be a family focussed pantomime suitable for all the family with some really amazing wow moments, but played in the unique setting of a concert hall rather than a traditional proscenium arch theatre. It’s a blank space, and we have to take it from a space suitable for orchestras and choirs, to the magical, exciting and vibrant realm of pantomime. To create a project like this takes real team work, and each person doing their bit at the right time. Initially it’s the job of Mark Walters, our designer, to come up with the concepts for the show. It’s his amazing vision which will bring the world of Cinderella alive. And to say that he held 8 adults utterly spellbound at the second production meeting on Monday 25th February is an absolute understatement. His ideas are remarkable, his concepts are ingenious, and his imagination is endless. We sat open mouthed as he described his vision for bringing Cinderella’s world to life. Mark’s brief isn’t just to design the set, but also to bring the costuming to life, and again his thoughts and ideas were breath-taking. We will let you into a bit more of the secret as the year progresses and Mark’s ideas start to turn from ideas on paper into set models and then finally into the reality of a full production. In the meantime, the work continues. Cinderella at the Fairfield Halls is going to be an amazing experience. Don’t miss out, because trust us, if Mark’s design concepts are anything to go by, Cinderella really will go to the ball, and blow you away all at the same time. Given his hectic schedule and huge popularity it is a huge coup for Imagine Theatre to be co-producing Justin’s self-penned show Justin Live! this autumn. The tour will be going to Eastbourne, Poole, Croydon, Salford, Northampton, Watford, Dublin, Belfast, and Derry. Visit the Justin Live page on the Imagine Theatre website for dates and further information. Fairfield Halls in Croydon are teaming up with production company Imagine Theatre to bring the most magical pantomime of them all, Cinderella, to Croydon audiences in December 2019. The eagerly awaited refurbished Fairfield Halls opens in September and the pantomime will be at the heart of the Autumn/Winter season. The family pantomime will star comedian Tim Vine as Buttons and CBeebies star Cat Sandion as the Fairy Godmother. Tim Vine is a comedian and presenter, known for his one-liner jokes, and his role on Not Going Out. Tim frequently sells out his stand-up tours and has released a number of DVDs of his comedy and has written several joke books. In 2010 and 2014, Vine won the award for best joke at the Edinburgh Festival Fringe. His many TV appearances include The Royal Variety Show; ITV’s ‘The Sketch Show’ which won a BAFTA. He appeared in 5 series of the award-winning sitcom ‘Not Going Out’ and he played Beach the Butler in series two of Blandings. Other TV shows include Live at the Apollo, Q.I, winning Celebrity Mastermind, hosting ITV game show ‘Don’t Blow The Inheritance, a regular on Celebrity Squares, a regular on Countdown’s Dictionary Corner. And for Comic Relief he appeared on ‘Fame Academy’, dancing on ‘Let’s Dance’ as Justin Timberlake and playing darts on ‘Let’s Play Darts’ as well as popping up in a Downton Abbey spoof. And on Celebrity Total Wipeout he fell off everything! He is one of this generations best comedians and is perfect for panto with his family friendly humour. Cat Sandion will be instantly recognisable to the younger members of the audience. Cat is one of the leading presenters on the BAFTA Award winning channel CBeebies is best known for her singing and dancing, she brings her energetic moves and catchy songs to many pre-schoolers and parents alike with her hit show Magic Door! Cat has been a firm favourite on CBeebies over the past few years, besides her residency in the CBeebies house she has also been a part of numerous shows and pantos most notably with her roles as Alice in Alice and Wonderland and Tinker Bell in Peter Pan and also as a main character in the hugely successful Justin's House. Producer for Imagine Theatre, Steve Boden says ‘We are absolutely thrilled to have been asked to produce the pantomime at the Fairfield Halls. We have secured a brilliant and highly experienced creative team coupled with the casting of Tim and Cat, this show is already shaping up to be an absolutely spectacular show which will be suitable for all the family. We hope to bring a show that has everything, a magical story, big song and dance numbers, hilarious slapstick comedy, bags of audience participation and some special effects that have never been seen in pantomime before. There will also be some further star casting announced later in the year so watch this space’. 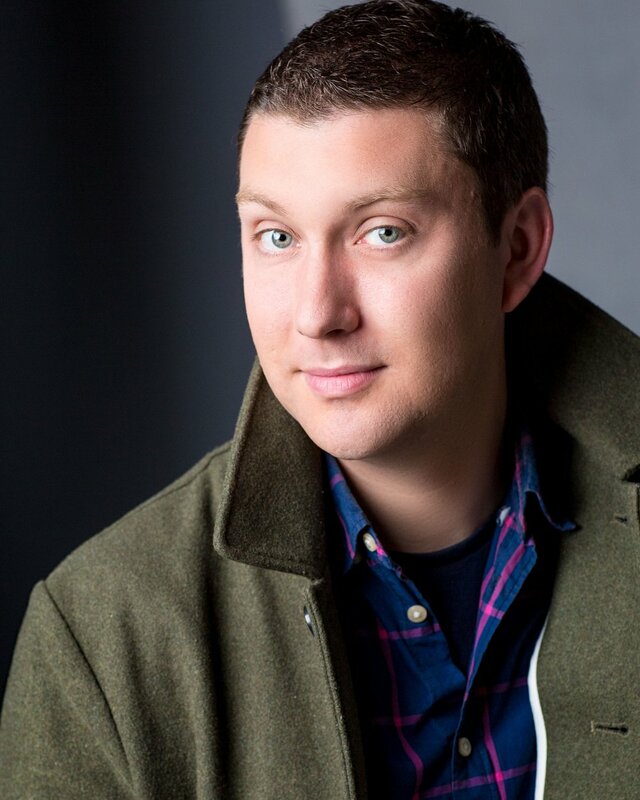 The show will be directed by George Wood, formerly Associate Producer of First Family Entertainment. During his career George has worked on over 200 pantomimes. George has directed numerous pantomimes including Cinderella at the Manchester Opera House and the Milton Keynes Theatre, Sleeping Beauty at the Churchill Theatre, Bromley, Snow White & The Seven Dwarfs at the Hawth Theatre, Crawley. Cinderella will be designed by Mark Walters. Mark is a well-established professional theatre designer, working in the industry for over 20 years and with a highly regarded reputation for his pantomime designs at theatres throughout the UK. Choreographer on the pantomime is Lynne Thomas. Born and educated in Croydon Lynne went on to achieve the inaugural first class BA honours degree at London Studio Centre. Working as a dancer and dance captain she travelled the world with the award winning Princess Cruises production shows. Time in the original West End production of ‘The Producers’ and subsequent tour was followed by tv commercials, west end choreography, children’s television and choreographing the 90th festival of Remembrance with the BBC. This is Lynne’s 10th year teaching and heading the dance programme at Royal Central School of Speech and Drama, as well as choreographing the annual BA MT course musical and end of year West End showcase. Will the evil Ugly Sisters thwart the path of true love for Cinderella and her Prince Charming or will her Fairy Godmother help save the day? Bring the whole family along to the Fairfield Halls this Christmas to find out, you’ll have a ball!